Santa Rosa plums are a Japanese variety, that is known to be one of the more sizeable varieties. 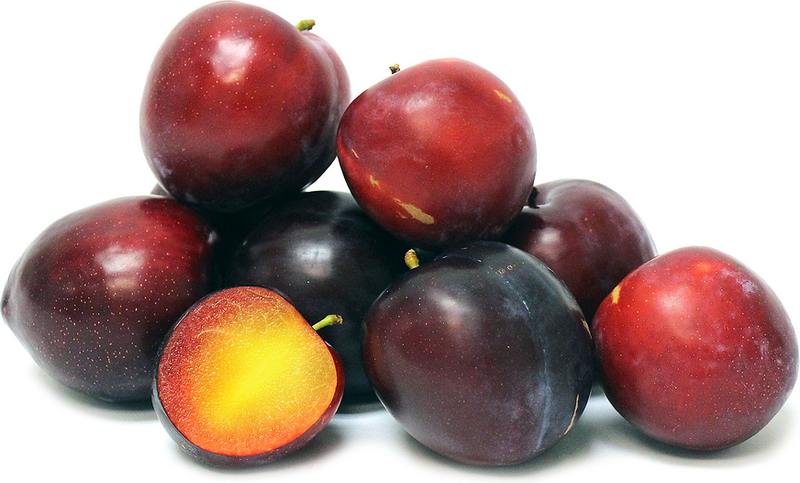 The Santa Rosa plum has a dark purple to almost black outer flesh that is smooth as well as thin. The inner flesh of the Santa Rosa plum is plush, with an overall golden yellow color with streaks of red. This plum offer a very sweet flavor that is candy-like and juicy. Santa Rosa plums are available in the spring, typically later in the season.